Neafie, Theodore F. to: sister. Gilder Lehrman Collection #: GLC07164.66 Author/Creator: Neafie, Theodore F. Place Written: Camp at Belle Fourche. 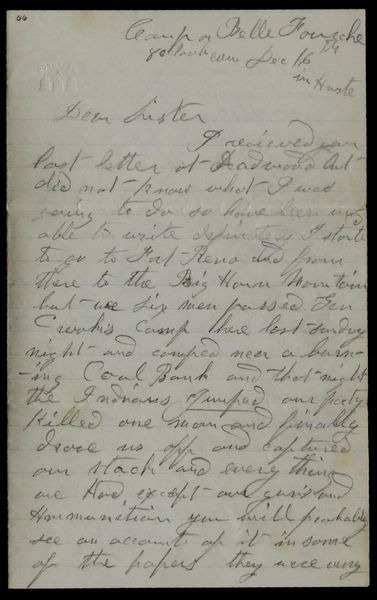 Type: Letter signed Date: /12/16 Pagination: Folio, 3.5 p.
Summary of Content: He sends news of an attack by Indians, and mentions that he has gotten a job as a packer in a mule pack train.